The True Random Number Generator picked #26 Jeni--I will send Jeni an email letting her know THAT SHE WON--she has 48 hours to respond or someone else will be picked. This giveaway is officially closed but the content can always be viewed on charities!! charities is First Book; they donate that first book to children whose parents simply cannot afford them. So, when the time comes that you are thinking about which charity to give to—won’t you consider First Book. I really just want you to see what this charity is all about. Whether you might consider donating at some point or have a need for their services or are just curious please click in and read all about it!! Mandatory Entry: Go to First Book and tell me something you learned. I learned that First Book has distributed more than 80 million free and low cost books in thousands of communities. I learned that if you donate money, they have a list of what different dollar amounts equal out to. Like $20 is 10 books for a new reader. I learned that in that first year, First Book distributed 12,000 books in three communities. Now in its 18th year, First Book will deliver approximately 8 Million books in 2010. -- this is awesome! I learned that First Book grants unprecedented access to new books to programs serving children in need. I learned that you can donate with as little as $5! I learned that first Book has delivered more than 80 million books to children in need across the United States and Canada in the last 20 years. Yes--I do know that United Way, Salvation Army etc give to First Book--it is a worthy organization--I am not asking for donations here--just that you know about it!! I learned that a lawyer who tutored children at an inner-city soup kitchen discovered that the children she tutored had no books to read -- so she and two friends founded First Book to provide new books and resources to the children who needed them the most! Now 20 years later, First Book has delivered more than 80 million books to programs serving children across the U.S. and Canada. Wonderful! I learned that First Book was founded in 1992! I love that they give books to kids in need! And that they give out over 80 million books - that's amazing! I learned you can donate a book in memory or honor of someone. Wow - here's a very alarming statistic I learned on First Book's site: "...fully 80% of preschool and after-school programs serving low-income populations have no age-appropriate books for the children they serve." SCHOOLS, where you'd expect children of all incomes to have these things available to them don't have the proper books! First Book was founded in 1992. I learned every $2 donations buys a book . First Book works through existing community programs and literacy efforts to provide a steady stream of new free or low cost books to elevate educational programming and improve access to reading materials. They are a Forbes Gold Star Charity! First Book has a bookmark blog that tells about their activities. I learned they - The First Book Marketplace is a website offering high-quality children's books and educational materials at deeply discounted prices to registered organizations serving children from low-income families. I learned about 40% of 4th graders read below grade level. 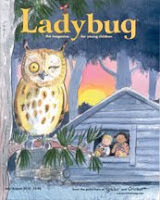 I learned that First Book empowers children with reading! I learned that they have distributed more than 80 million books in less than 20 years! I learned that First Book provides books to kids in need.